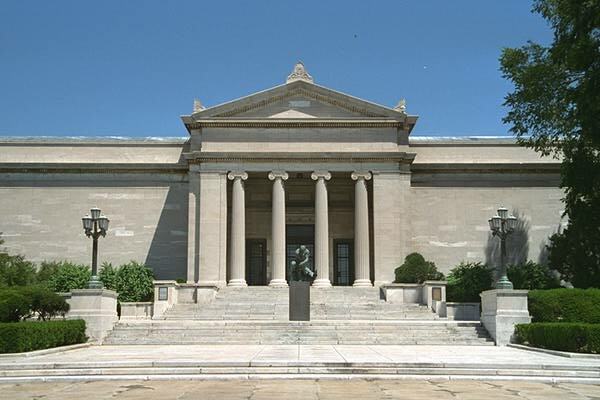 I recently began a seven-month position as the Cleveland Museum of Art’s Provenance Researcher. My appointment makes Cleveland one of only a few museums in the United States that have a dedicated provenance researcher—an important step that more museums should be taking in the pursuit of thorough research and transparency when it comes to the ownership histories of artworks in their collections. After my research is complete, the results will be made publicly available on the Museum’s website. I’m a Cleveland native, so it’s particularly exciting to be working at the art museum I often visited while growing up. I am still based in New York, which allows me easy access to the many provenance research resources available here in the city – but it’s nice to go back to Cleveland frequently during my tenure at the Museum. I will be focusing on the Museum’s American and European paintings collections, both verifying existing provenance information and conducting original research. For the American paintings, I am working with Curator of American Painting and Sculpture Mark Cole. American works of art generally do not pose World War II-related provenance problems, so for these paintings, I am confirming the provenance information the museum already has, making any necessary corrections, and filling in gaps. To do this, I am using a variety of resources, including auction catalogues, auction records, dealer records at the Archives of American Art, genealogical and archival materials, catalogues raisonnés, and exhibition catalogues. All of these resources allow researchers to trace the path that an artwork has taken from its creation by the artist to its current location. Of course, it is not always possible to establish a complete unbroken provenance due to the absence of extant records, destruction of records, and collectors who wish to remain anonymous. But, with a little persistence and creativity, you can generally come close to a complete provenance for most American works. The situation with European paintings is, of course, much more complicated. Working with Curator of European Painting and Sculpture Jon Seydl, I am starting with the provenance record the museum has on file for these works and going from there. Some of these provenances are quite complex, with collections identified from seventeenth-century inventories, inheritance of objects over multiple generations within prominent European families, and, for so many European paintings in museums and private collections around the world, dubious and/or opaque World War II-era provenances. It is important to keep in mind that just because a work of art has a gap during the years 1933-1945, it does not mean it was looted by the Nazis. After all, works can have gaps at any point in their histories that are simply due to the reasons mentioned above. But, for works that are known to have been in Europe during those years, such gaps must be investigated. In addition to the materials listed above used for provenance research in general, added to the list of resources for World War II-era research are databases of looted art, National Archives records pertaining to Nazi looting activities, registries of art claims, and European library and archival material. One starting point for World War II-era provenance research should be the identification of red-flag names in a provenance. Red-flag names come from a list, compiled at the end of the war, of individuals known to have been involved in dubious World War II-era art dealings: dealers, art historians turned Nazi art agents, and so on. Any appearance of these names in a provenance signals that that particular provenance must be investigated further. So that’s a brief summary of what I’m doing for the Cleveland Museum of Art. See the links below for an article in The Plain Dealer about my appointment and an amusing interview I did with Cleveland Scene.